The Irredeemable/Incorruptible Crossover Event Fans Have Been Waiting For! Arch-nemeses the Plutonian and Max Damage have been playing a game of cat and mouse since their showdown, and the stakes are sky-high in Redemption. 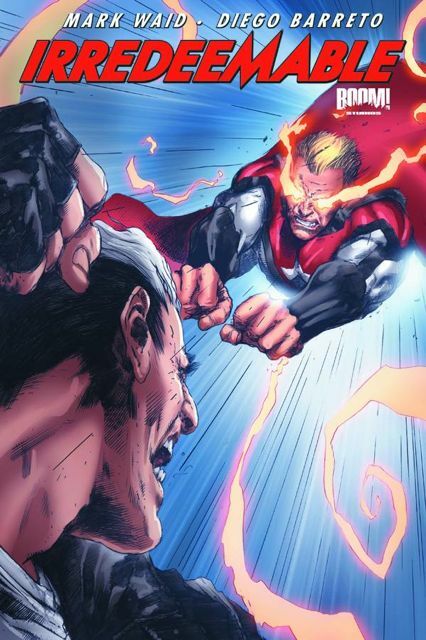 Collecting Irredeemable #32 and #33 and Incorruptible #25 and #26, find out how two young men named Tony and Evan became the Plutonian and Max Damage - and how they have been intertwined since the very beginning! The origin story behind Mark Waid's multiple Eisner and Harvey Award-nominated superhero series!